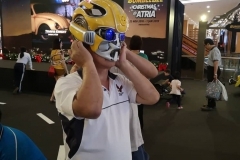 The Autobots have pledged their allegiance to humankind. 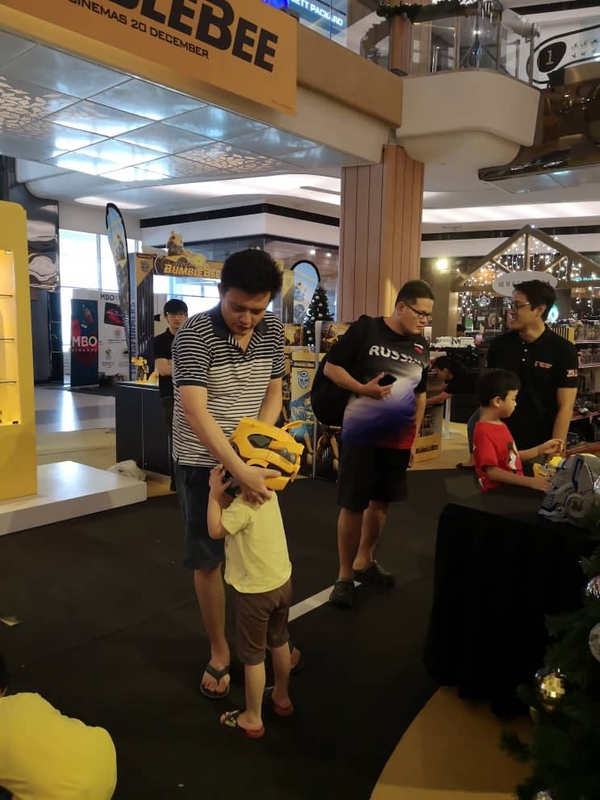 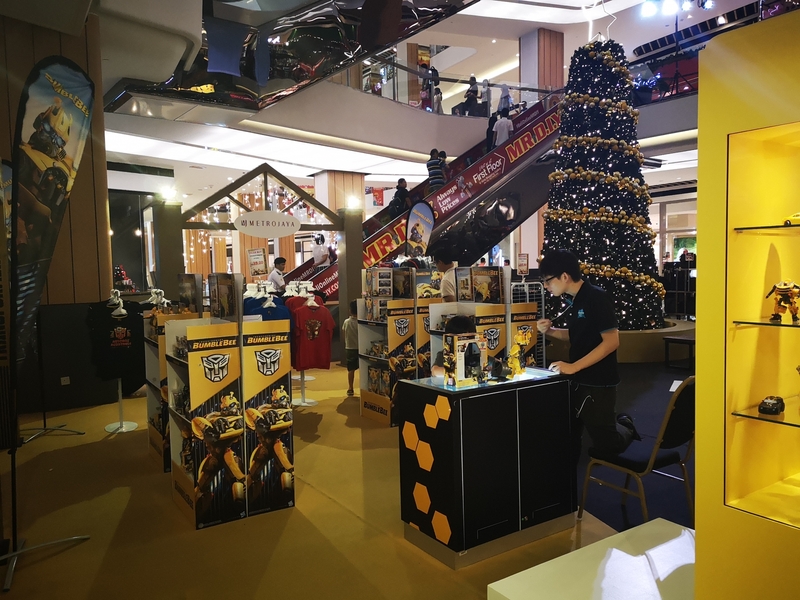 Now it’s our turn to return the favour – and nothing symbolises that loyalty like bearing it on your chest with this limited edition T-shirt exclusively brought to you by AirAsia in conjunction of the Transformers Dark of The Moon campaign. 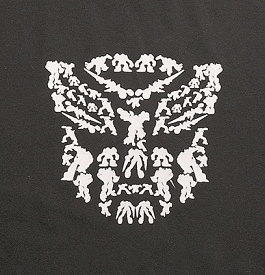 The t-shirt is black in colour and what is unique about this t-shirt is the Autobot logo (if looked closely) is formed by a silhouette of some main Autobot warriors featured in the current and previous Transformers movies. 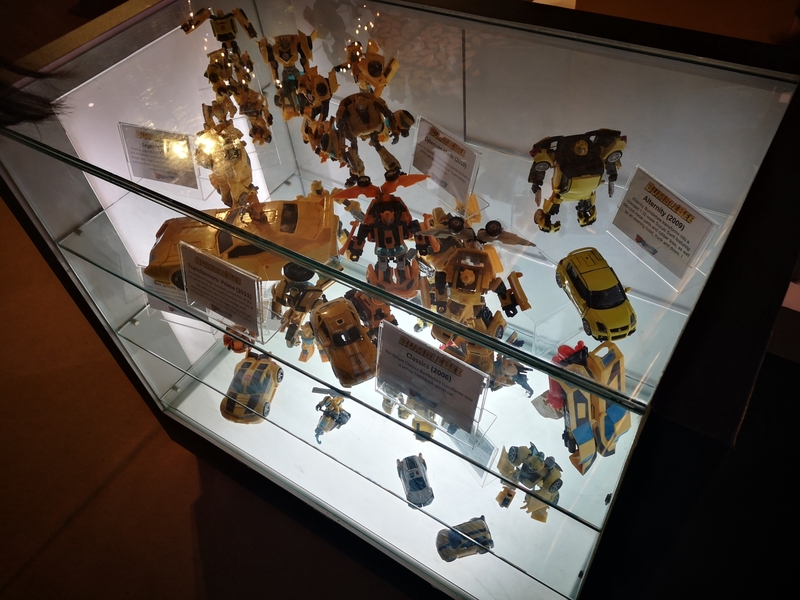 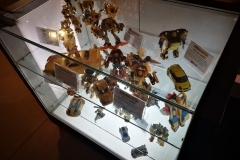 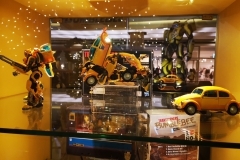 They were made of the silhouettes of Skids, Mudflap, Sideswipe, Bumblebee, Optimus Prime and Ironhide in white. 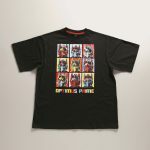 This exclusive t-shirt is for adult with 3 sizes – S, M, and L made purely with 100% cotton. 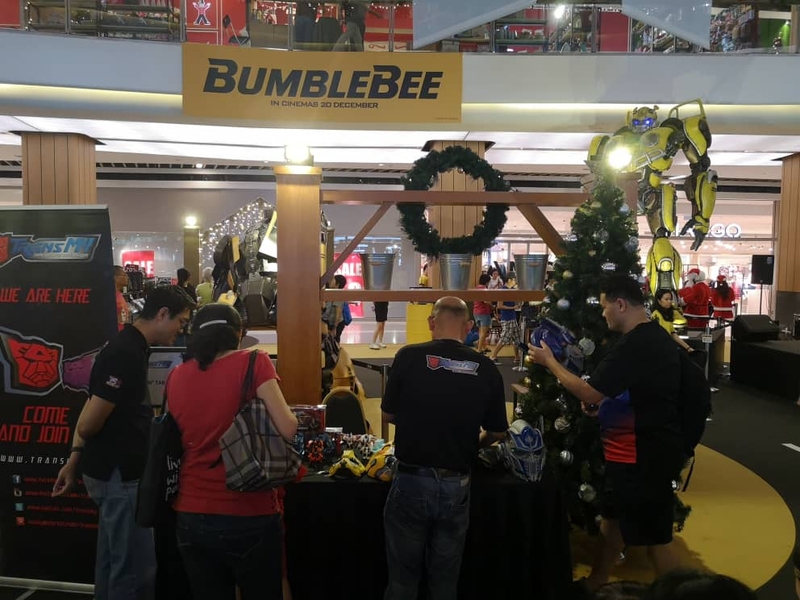 Get yours from AirAsia Megastore now and enjoy discounts of 10% if you shop online. 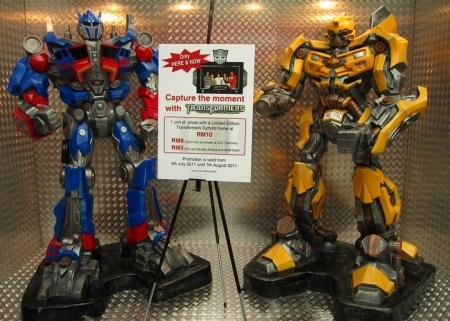 If you are a big fan of Optimus Prime, this is the one that you should make yours! 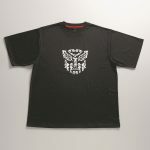 Also come in black, this t-shirt is for Optimus Prime fanatics. The motifs on the shirt features 9 mugshots of Optimus Prime in different colour combination complete with it’s full name for pure recognizition! 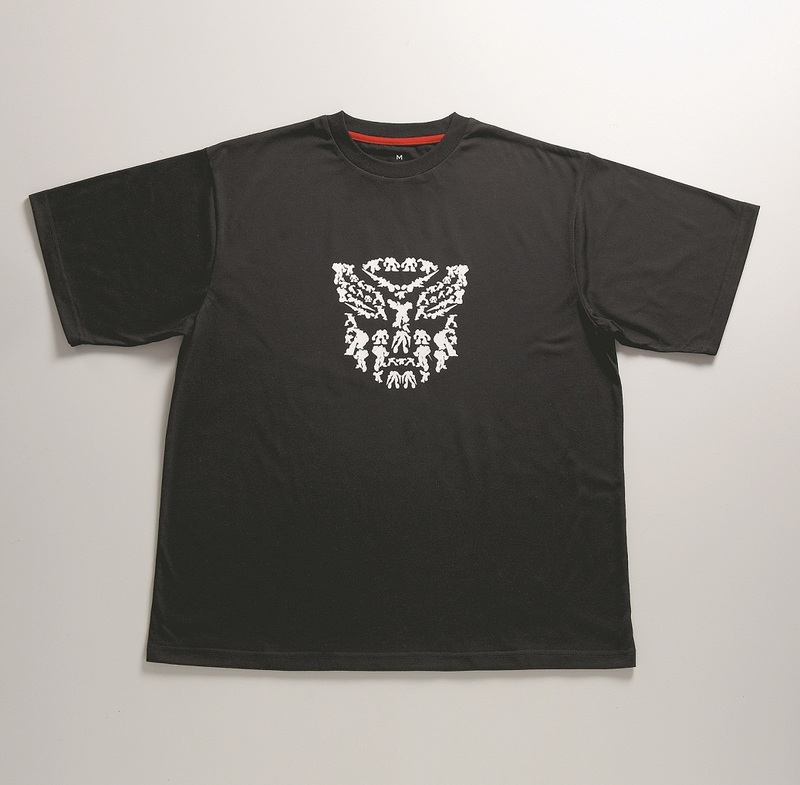 This exclusive t-shirt is for adult with 3 sizes – S, M, and L made purely with 100% cotton. 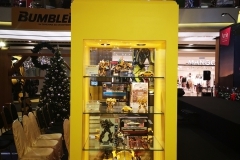 Check them out at AirAsia Megastore now and enjoy some discounts. 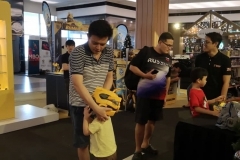 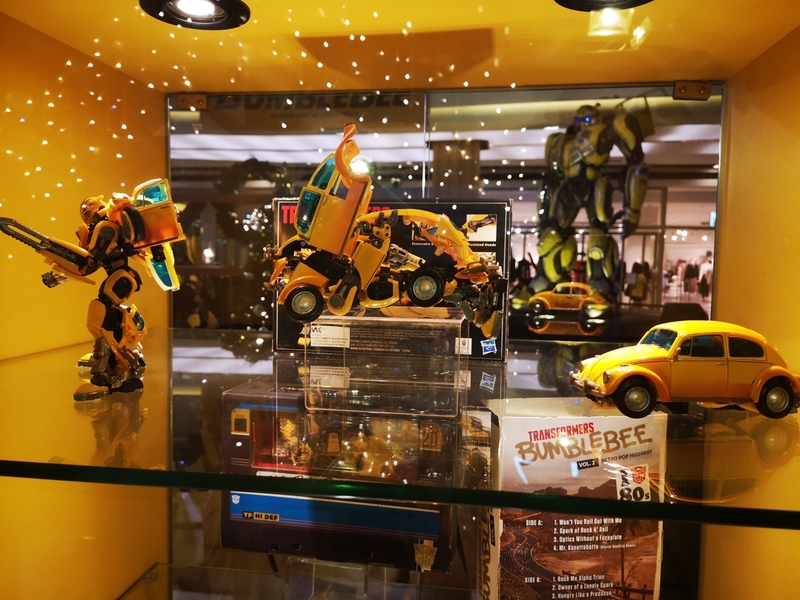 All Transformers Dark of the Moon merchandise are available online at airasiamegastore.com (enjoy 10% off) and sold via other channels such as onflights on all AirAsia and AirAsia X flights (refer to normal price column) and onground at the AirAsia MegaStore kiosk at LCC Terminal. 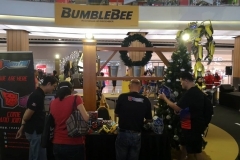 On-ground event is from 4th July to 3rd August 2011. 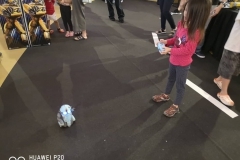 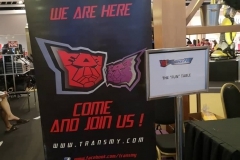 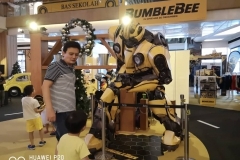 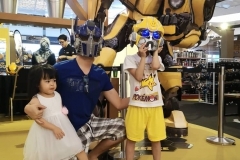 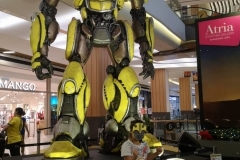 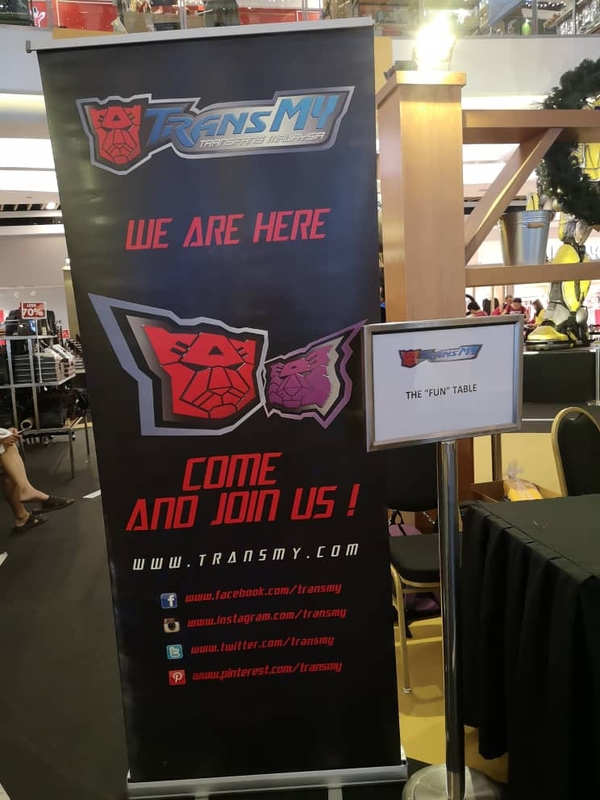 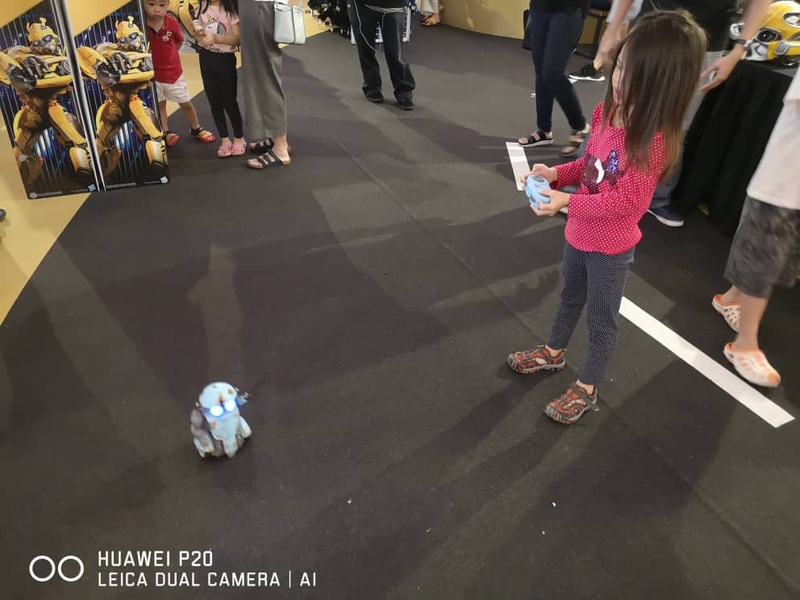 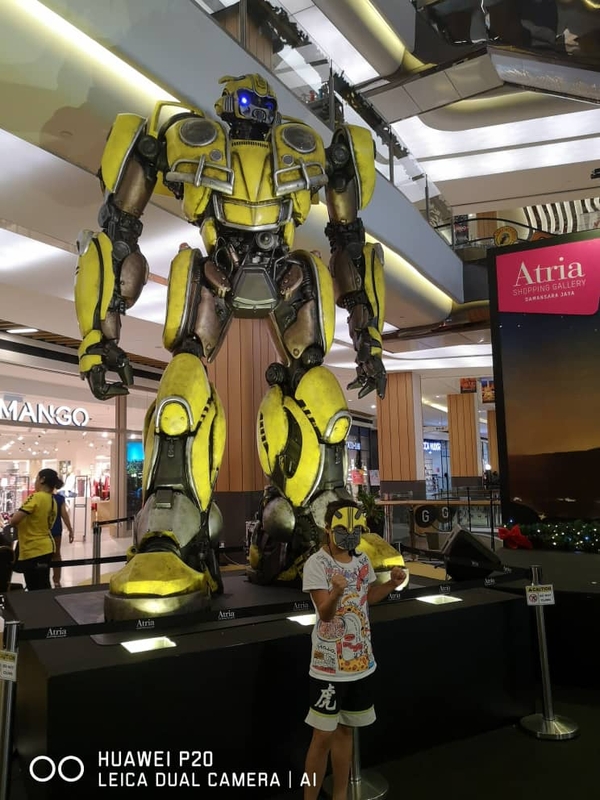 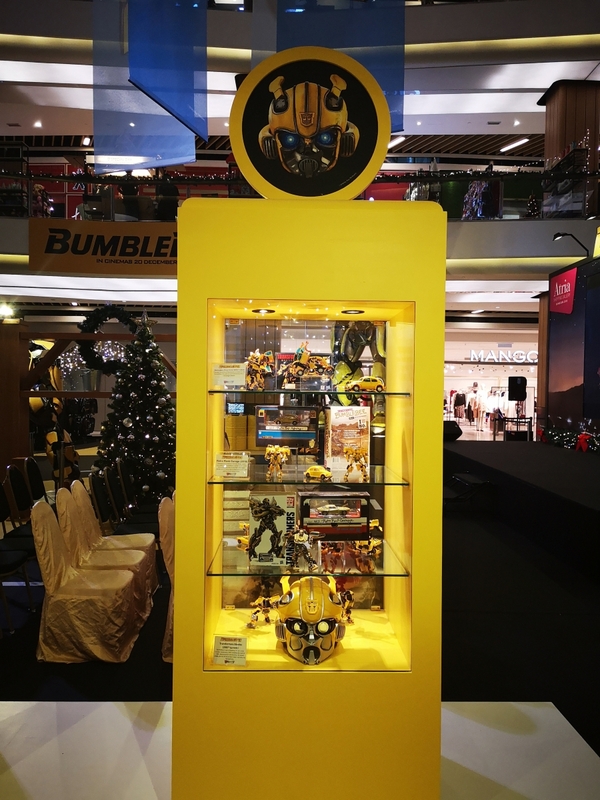 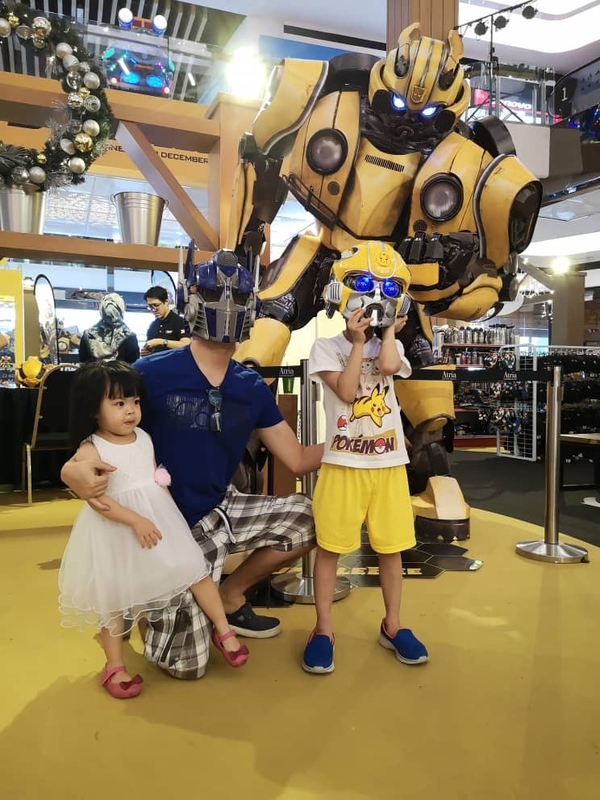 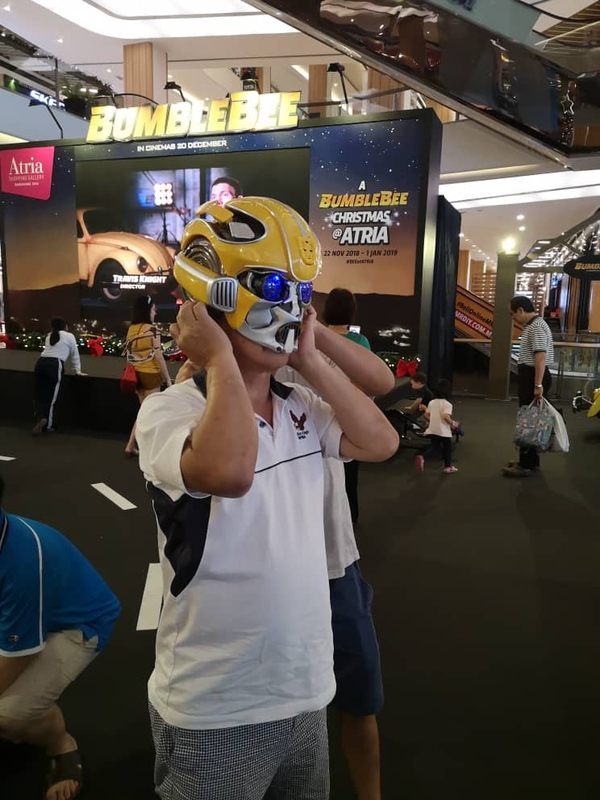 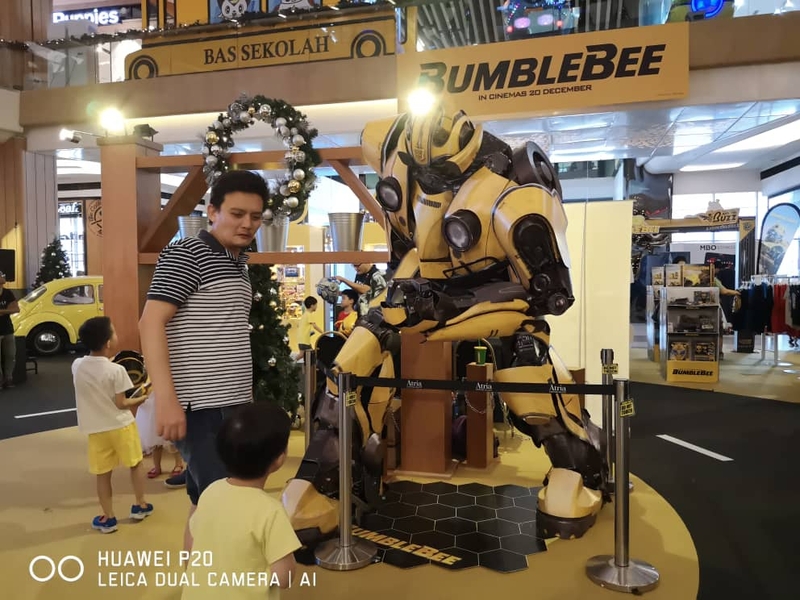 If you are flying off via LCC Terminal, Malaysia do chance upon for some photo opportunities with Optimus Prime and Bumblebee, from NOW til 3rd August 2011!